The Wii U is a wonderful console. And its Miiverse is a hive of fun! 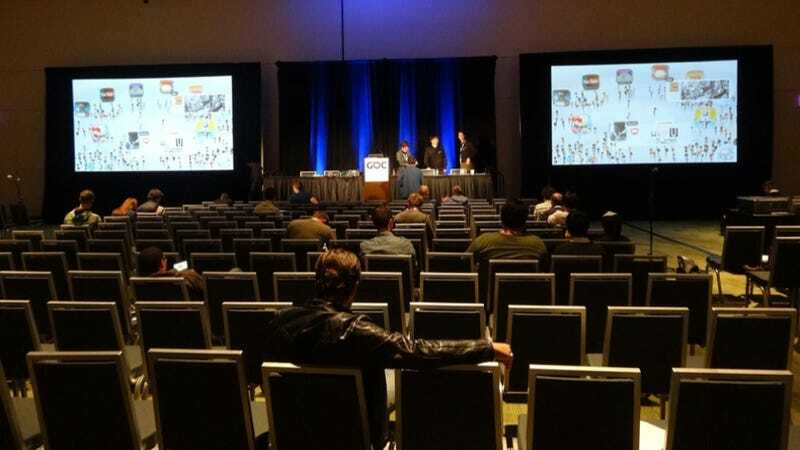 But, according to a photo on Japanese site Game Watch Impress, Nintendo's Miiverse presentation at the Game Developers Conference looked...sparse. Hey! There are lots of presentations at GDC. Not every one of them will be packed. Game Watch Impress did note that the rather empty audience at this one did stand out. Numerous Japanese game sites are doing likewise. Those mean people. The folks in attendance did get to hear about the Miiverse being slated for smartphones and PCs in May. Can you feel the energy in this room? Can you?